is the year book of 2005. Includes more than 50 works selected from Shinkenchiku and Jutakutokushu. 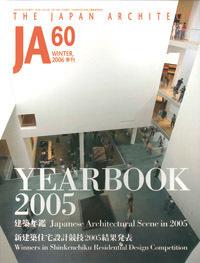 You can see the architectural movement of 2005 in Japan from this one issue.